audience with the right message, The first time. If you need support our custmer service team is here to help. Whether you are new to voice broadcasting or looking to switch service providers, here are the facts you need to know. Below are answers to some commonly asked questions. We are also available to answer your questions by phone or email. Click here for information about our billing, customer service, support, or anything else you want to know about Dynamic and our services. Voice Broadcasting delivers pre-recorded messages to your contact list, reaching thousands of people in a matter of hours rather than days. Our technology saves you money by eliminating the need to have a live customer service representative manually call each client. Autodialing, Robo Calls, Automatic Calls, Automated Calls, Voice Blasting, Mass Calling, Voice Messaging, Outbound IVR (Interactive Voice Response), Robo Polling, etc. What is Voice Broadcasting Used for? 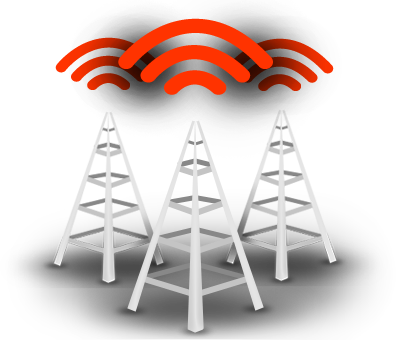 Voice Broadcasting is used by businesses throughout the country to increase their productivity. Businesses, non-profit groups, political organizations, schools, and government agencies use our services to reach consumers. Voice broadcasting is used for sending customer messages, member announcements, event promotions, fundraising campaigns, political promotion, voting campaigns, emergency notifications, appointment reminders, wake up calls, polling, collections, and more. With Dynamic Interactive you only pay for our outbound calling minutes. We provide free account set up, free list support, and free tech support. We give you all the equipment you need so there are no additional equipment or lease charges. Do you bill by minute or by phone call? At Dynamic you only pay for what you use. We never charge for calls that end in a busy signal, disconnected number, no answer, or operator tones. We can bill you per minute or per successful call. Our billing is customized based on your needs. There are no long term commitments with Dynamic. Contracts are on a month to month basis and you can increase or decrease your plan at any time, even in the middle of the month! Are there any refunds or credits for unused minutes? Dynamic cannot issue refunds for unused minutes due to phone carrier contracts. We can work with you to ensure that you purchase the right amount of minutes for your campaign. Signing up is easy! Contact us by phone, email, or our online chat support to request a client signup form. Once received, a customer support representative will contact you to finalize your set up. How quickly can I get my campaign going? We can set up your campaign in as little as 30 minutes with a next day guarantee. If you need expedited service, we are happy to help. Can I choose if I want only live answers or answering machine only campaigns? Live Calls Only – We can deliver your message when a person answers the call. If they request more information that can be transferred to a phone number of your choice for a live customer service representative to assist them. Answering Machine Only – Messages can be delivered only to voice mails and answering machines. When a person answers the recording apologizes for calling a wrong number. Blended Campaign – We can deliver your message regardless of if it is answered by a live person or we reach an answering machine. Customers can select to be transferred to a live representative for more information. Who actually records the message? You can create record your own message in a wav or mp3 format, have the Dynamic system call you to record a message, or one of our friendly customer support members can record one for you. How do I get the phone numbers to you? You can upload your contact list into our user friendly system or email it to your designated customer support representative. Our system is compatible with most formats including Microsoft Excel, plain text, Access, and ASCII comma delimited. Can I choose the times that the calls will be made? Yes! You can set calls for anytime between the hours of 8am and 9pm in any given time zone. Select your call times for current and future campaigns, the Dynamic system will do the rest. Our customer support team is always available to assist you. Can we have calls forwarded to our office if we want to speak to live prospects? We can transfer calls to any US or Canadian phone number. What happens when we are on the phone with callers? How do we avoid being overloaded with transfers? Dynamic Interactive uses a cutting edge call transfer management system that will automatically stop dialing when all of your available operators are on the phone. Once a representative is available the system will resume calling. You can set, and adjust, the number of available live reps at any time during your campaign. Do you call people on the Do Not Call List? No. Our Dynamic system enables you to run your contact list against the Federal Do Not Call list. Additionally your contacts can elect to be placed on your personal do not call list. When that happens your DNC list is updated to prevent future calls to that phone number. Are you in compliance with the TCPA? Yes. We are simply a software provider and require that all customers be in full complianace with all federal, state, and local laws and regulations. For additional information please view the TCPA online at the FCC website. What happens if I have duplicate numbers? Do I get charged for them? Our powerful call list management ensures that you do not have to worry about sending duplicate calls to the same recipients. This feature saves you money by removing repeated numbers from your call list prior to launching a calling campaign. How do the calls actually get made? Calls are made by Dynamic’s sophisticated telephony server platform, which is connected to several large telephone networks.